One of my earliest tribal friends and well-wishers was Thimmaiah. He lived in Hosahalli tribal colony adjoining the Bandipur National Park in Heggadadevanakote taluk of Mysore district. When I went there last time, I did miss seeing Thimmaiah, one of the first Jenukurubas to have welcomed me to their homes. He was one of the local tribal chieftains and also the first to take me into the Gundre forests, proudly show me the final resting places of his ancestors, climb the matthi tree effortlessly and get me its sap to drink. He had died many months ago and I felt a surge of sadness engulf me. Though he was in his early 70s then, I felt angry that neither our health system nor I could do much for him. As a physician, I was left with a nagging feeling that his death could have been prevented. Thimmaiah had succumbed to Tuberculosis. For years he had lived with his irritating cough and would have angry exchanges with our health workers who felt that he was not very compliant in taking his medications. Despite repeated requests, cajoling and chiding, Thimmaiah did not think that his disease was something serious that warranted taking so many medications for so many months. As though losing Thimmaiah was not disturbing enough, I also got to know about the death of Suresh (name changed) a few weeks later. Suresh was a painter by profession and lived in Mysore with his wife and two young daughters. Both his daughters were in school with dreams of their own, while his wife added to the family kitty by working as a domestic help. Suresh was having a persistent cough and fever and he believed that this was a normal occupational hazard for painters. A few months later, Suresh was coughing out blood and was too weak to go to work. His wife admitted him to the local Government hospital where he was diagnosed with advanced tuberculosis and he died there a few days later. His wife is now left fending for herself and her two daughters, for whom higher education could very well remain just a dream. Tuberculosis not only took away her husband, but also has left her family socially and economically shattered. Tuberculosis is one of India’s greatest public health challenges and India has the highest burden of TB in the world. In 2011, out of the estimated global incidence of 9 million new TB cases, 2.3 million occurred in India. TB kills close to 300,000 men, women and children like Thimmaiah and Suresh each year. This communicable disease that spreads through the air is one of the leading causes of death in India. What is startling is the fact that TB kills 2 people every 3 minutes and nearly 1000 each day in India. If left untreated, a person with active TB can infect 12-15 people every year. The direct and indirect costs of TB in India are estimated to be $ 23.7 billion. Despite all the awareness that is being created, TB continues to be highly stigmatized, often leading to discrimination both within the community and at the workplace. The country’s response to this public health scourge is mainly through the Revised National Tuberculosis Control Program (RNTCP) launched by the Ministry of Health and Family Welfare in 1997. The strategy recommended by the Ministry is Directly Observed Treatment Short Course (DOTS) propounded by the World Health Organization. This strategy was successfully piloted from 1993 to 96 before being widely advocated and applied. Since the launch of the program, much has been achieved and the global benchmark of 70% case detection and 85% cure rate of new smear cases has been reached. Focus is also being given to Multi-Drug Resistant TB (MDR-TB) through the DOTS-Plus services in 17 states and efforts are on to make these services available throughout the country. Treatment for 13.5 million patients has been initiated and nearly 2.4 million lives have been saved. Though impact is yet to be visibly seen, the RNTCP has begun addressing the issue of geographically challenged areas and is attempting to reach out to difficult and hilly terrains. Special attention is also now being given to vulnerable communities including tribals. There has also been an unseen positive gain of improved health systems and processes because of the RNTCP. Capacity of key personnel has been augmented and basic laboratory services in PHCs have either been introduced or strengthened. The RNTCP has also started to recognize the contribution and potential of the private and NGO sectors in the delivery of health services. The program has now involved more than 1900 NGOs, 10,000 private practitioners, 150 corporate hospitals and 282 medical colleges under a new initiative called the Public Private Mix (PPM). Despite the nation being affected in such a large way, we have hardly focused on adequate research into the diagnostics required to accurately identify the disease. The current methods use the 125-year-old microscopy method that is known to miss more than half the cases. Apart from this, the problem of misdiagnosis leading to incorrect treatment, thereby increasing the risk of developing and transmitting drug-resistant TB is a real challenge. Not all patients requiring treatment access public health facilities where the RNTCP program has ensured reasonable capacity building of its personnel and where standard protocols exist for diagnosis and treatment. Many of them go to the private sector where lack of regulation has led to extensive abuse of inaccurate diagnostic tests. Serological tests, which are not known to be of any use, are used extensively in the private sector for diagnosis of TB and it has been estimated that more than $15 million is spent on these tests. There is also the danger of irrational prescriptions from inadequately trained physicians in the private sector who do not follow the WHO recommended DOTS strategy. Unregulated and over-the-counter sale of TB drugs further adds to this complexity. The half a million MDR-TB cases around the world is another vexatious challenge. The emergence of HIV-TB co-infection is also turning out to another major issue. Nearly 5% of the 2.4 million people living with HIV are known to be suffering from TB too. Tuberculosis also needs to be seen as a public health problem with severe socio-economic impacts. There are thousands of families like Suresh’s who are adversely impacted by this disease. 70% of TB patients are between ages 15 to 54 and the disease is most common among the poor and the marginalized. This disease is also disproportionately common amongst young females, with more than 50% of such cases in women occurring before 34 years of age. Though the Government’s RNTCP program is attempting to focus on Universal Access to good quality diagnosis and treatment for all TB patients, more needs to be done. 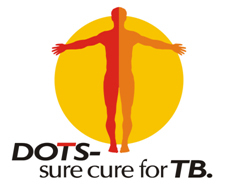 By 2015, the program hopes to ensure the early detection and treatment of at least 90% of estimated TB cases in the community. It also aims to successfully treat at least 90% of all new TB patients and at least 85% of all previously treated TB patients. All this cannot happen only because the Government or Public Health agencies wish it so. We must realize that Tuberculosis is not just a problem for the Government but affects every Indian citizen and the Nation’s progress. Every one of us, whether we are in the health sector or not, whether we are public servants or private employees, need to become spokespersons of the RNTCP program. We also need to see ourselves both as partners and watchdogs of this program. We need to both collaborate and demand accountability of our health systems at the same time. As concerned citizens, we need to demand and support attempts to bring in regulation on diagnostics and anti-TB medications in India. We also need to demand from our Governments (both State and Central) enhanced budgetary support to the RNTCP program. Physicians who understand the irrationality of serological diagnostic tests have the added responsibility of demanding a ban on them across the Nation. We need to understand and appreciate that every one of us is a soldier fighting this scourge and we cannot let the battle be fought only by the health personnel. We not only should show the commitment but also feel obliged to take this fight forwards till we can proudly say that India has indeed brought the disease under control. Only then will the souls of people like Thimmaiah and Suresh find lasting peace.